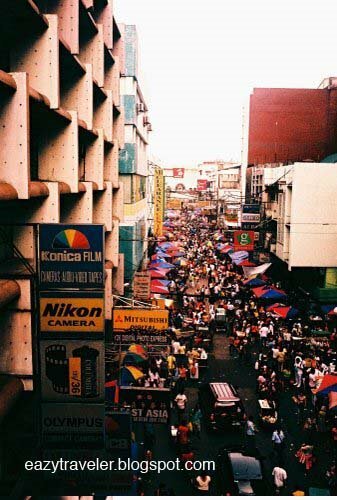 If you can handle the nitty-gritty of Manila, holler your way through the rowdy streets of Quiapo–the labyrinthine downtown of the Philippine capital–where a plethora of goods are sold at most probably the best bargains in the metropolis. This includes, yes, photographic goodies like vintage cameras and film! R. Hidalgo Street (Map here) is considered to be the photographer’s Mecca, where, if you’re patient (or lucky) enough, you will stumble upon a true-blue lomographic camera (like a second-hand Lubitel 166B) at a very good price. 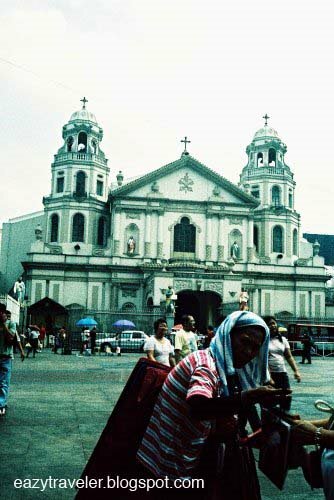 Named after the water cabbages or ‘kiapo’ that once thrived on its riverbanks, Quiapo was once the fashionable center of arts, culture and commerce in old Manila. Ravaged by war and faded in time, glimpses of its former glory can be gleaned from the architectural edifices scattered across the murky district: ancestral homes of the elite, classical buildings, fountains and colonial churches. 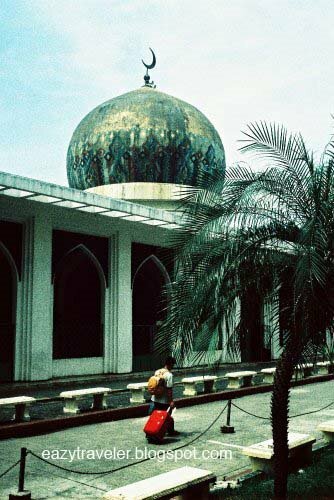 You may seek respite from the hot sun and noisy crowds in its religious sites: the peaceful (but neglected) Masjid Al-Dahab (The Golden Mosque); the only steel basilica in Asia, the neo-Gothic San Sebastian Church by Gustave Eiffel; and the iconic Quiapo Church watching over Plaza Miranda’s hawkers and fortune tellers. This is where religiosity, superstition and commerce pulsate in harmony. The place is busiest during the Feast of the Black Nazarene every January 9. Many have fainted or even died attempting to touch the miraculous statue of Jesus Christ in a throbbing ocean of pilgrims. When in the Pearl of the Orient, you can forget about shiny skyscrapers and the dazzle of neon clubs and get ready for a real urban adventure. 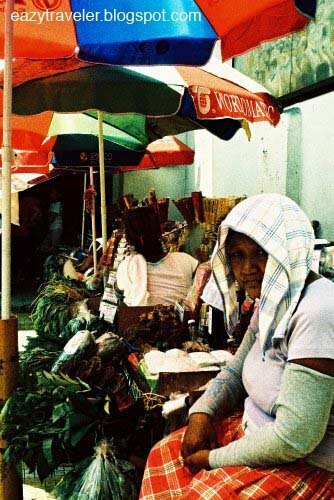 At Quiapo, there’s always something unexpected for you in every nook and corner. Wow, nice shots you have here. Just for the record… there is no connection whatsoever between the San Sebastian Church and Eiffel. this is a hoax that keep popping up in different blogs. You have charming pictures, they deserve to be posted in a bigger size! Thanks for the correction, Sidney! Yeah, even Wikipedia lists this church as one of Eiffel’s works. Tsk tsk. 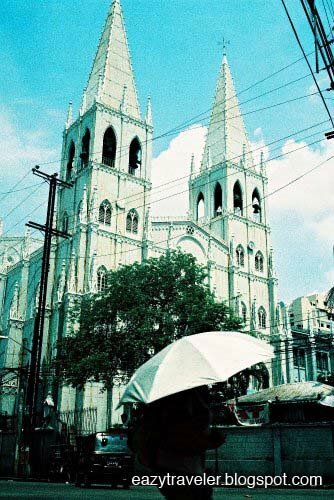 Erratum: This steel church was designed by Don Genaro Palacios and built with the help of Belgian engineers. The only connection to Eiffel is that he may have contracted the same Belgian steel company for some of his works, as raised by Carlos Celdran.